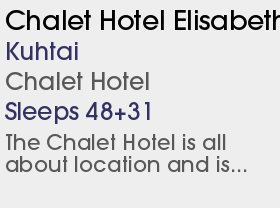 1 Chalet Hotel and 2 Half Board Hotels. Kühtai is the highest village in the Stubai Alps and is a paradise for skiers and snowboarders looking for intermediate terrain or superb powder. Situated in such an elevated position, Kühtai enjoys a long ski season and maintains near perfect conditions from the start to the end of the season. With breathtaking scenery and wonderful doorstep skiing, it's one of Austria's best-kept secrets! High up in the delightful Stubai mountain range, this is exhilarating high altitude terrain and you're only 35km from Innsbruck. Skiing holidays in Kühtai are hard to beat for convenience. Most accommodation is on the piste and lift access is generally free of queues, making a huge difference if you're determined to spend as much time as possible enjoying the snow! As well as state of the art facilities, a skiing holiday in Kühtai delivers history and glamour too. Emperor Maximilian hunted here during the 1400s - follow in his footsteps for an unforgettable ski break! Today Kühtai is one of the best resorts in Austria if you want to enjoy ski touring especially with the further 34km of pistes available following the connection with the Hochötz ski area. The ski-in, ski-out resort of K�htai is perched high on a mountain pass at 2020m between the �tztal and the Stubai mountains, just 22 miles from Innsbruck. With its easy, wide, above-the-treeline snowsure slopes, the ski area is ideal for families and intermediates, although there are a few more challenging sections. 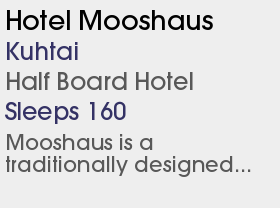 K�htai is the highest resort in Austria, boasting doorstep skiing, a snow-sure record and breathtaking scenery. 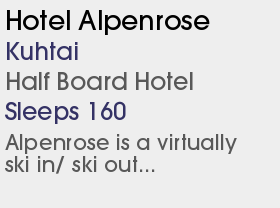 All the hotels have doorstep skiing and the lifts are virtually queue-free. 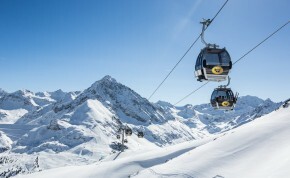 With the addition of the Hoch�tz ski area a further 41km of pistes and 11 lifts are available to K�htai lift pass holders (a Free 15 minute ski bus ride connects the two resorts).